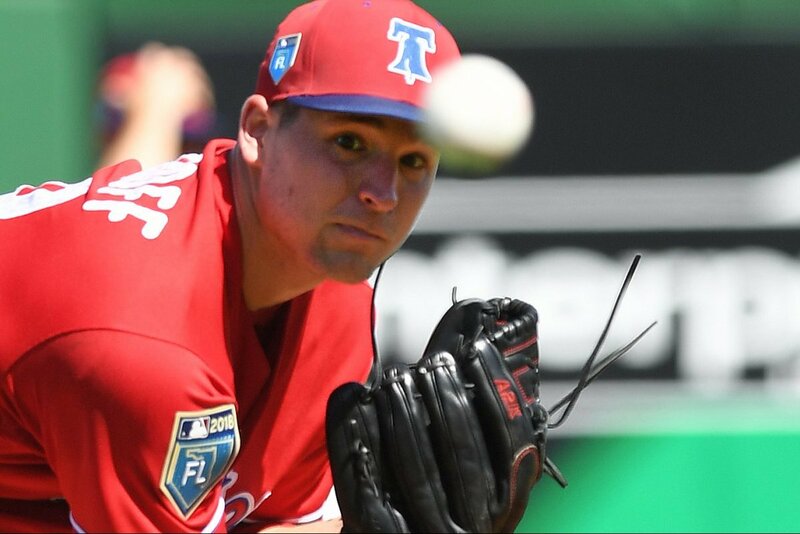 The Phillies used nine pitchers Thursday to shut out the University of Tampa, 9-0, in a 10-inning exhibition a day before opening Grapefruit League play. Jerad Eickhoff pitched the first two innings, striking out two and retiring all six batters he faced. Jose Taveras, Tom Eshelman, Franklyn Kilome, Enyel De Los Santos, Seranthony Dominguez, Cole Irvin, Ranger Suarez, and Brandon Leibrandt handled the rest. Zachary Green and Andrew Pullin hit back-to-back homers in the ninth inning after the game was extended to 10 innings. Tommy Joseph hit an RBI double in the first and Danny Ortiz, who ended the third inning with a diving catch in center field, drove in a pair of runs with a single in the fourth. Zachary Coppola, a minor-leaguer who came over to big-league camp for the day, made a terrific diving catch in center to end the fifth. In the seventh, Andrew Pullin hit a two-run single and Heiker Meneses added a sacrifice fly.